Argentina is known for many things (wine, meat, polo, soccer – Messi and Maradona, anyone?) but one of its most important gifts to the world is the tango dance and music. History says that the tango has origins in Spain and Cuba, it became popular in Argentina by the European immigrants and the low class society of cities like Buenos Aires. It has its roots in the depression eras and the music and lyrics are usually sad and about lost love. But the dance is sensual, sexual, and passionate. As the dance became very popular with the upper and middle classes around the world – yes it was more popular outside of Argentina being Paris the Tango capital in the early 1900s! !, Argentine high society adopted the previously low-class dance form as their own. And since then tango has been a synonym of Argentine culture around the world. But nothing beats seeing a tango show in the country that made it famous. So if you are in Buenos Aires, whether for business or pleasure, be sure to go to a tango show. There are a lot of shows, so which one do you go to can be a difficult decision. Some are targeted to the masses of tourist that invade the city like Senor Tango, Madero Tango and Tango Porteno, among many others. There are others that fit in the middle: touristy but locals go often like La Ventana in San Telmo. And of course there are others that are very exclusive, take place in a small venue and provide a very immersive experience like no other. El Barracas and Bar Sur are two of those little gems that everyone should visit. Be aware, these shows are very expensive. A tango show – just the show can cost up to $65 and you can have the show and dinner for $30 or $50 more which is not that bad considering the food that you will get (meat, cheeses, wine). El Barracas is a tiny hall that fits 75 people that opened around 1905 in the outskirts of the city in a corner call Polaco, named after Polaco Goyneche, a famous tango singer. It was declared a Historical Protection Area of the city of Buenos Aires. 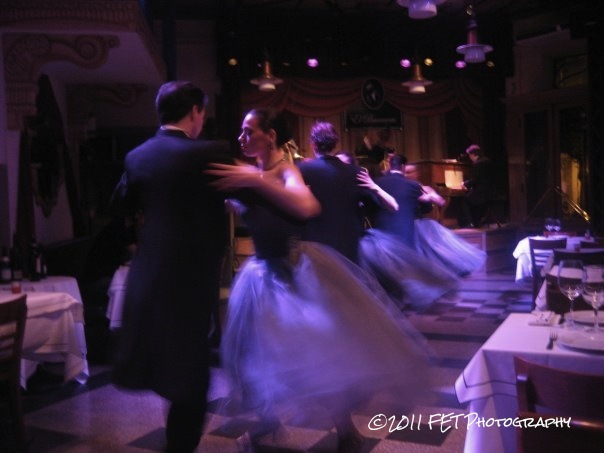 The dancers perform near the guests’ tables and the show tells the story of tango. Bar Sur is located in the old town of San Telmo, known today as the center of art and cultural scene of the city. It was established in 1967 by Ricardo Montesino, who is still the owner and can be seen every night at the small and cozy bar. Once home of the Union Bar, a mythical tango show café, Bar Sur is known to be as the oldest tango place in San Telmo, not sure if it’s true but I will believe them. It only has 12 small tables so it is a very private performance/experience. Both places are very intimate, the band, singers and dancers are not on a stage but on the same floor you are seated and they perform around you making the experience even more special. 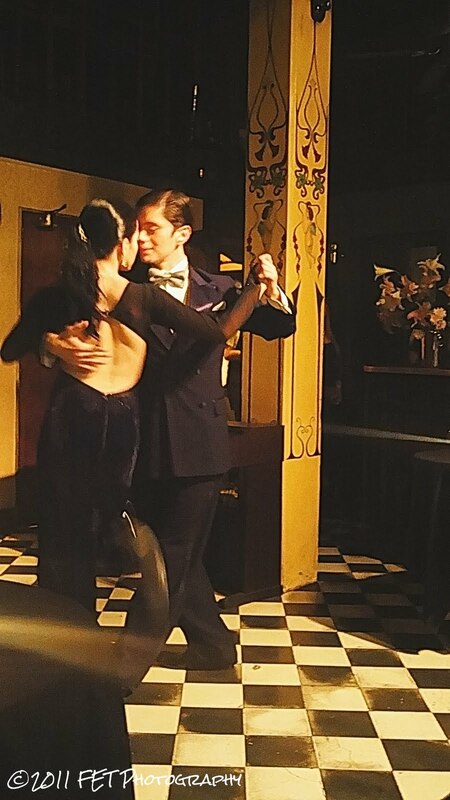 At Bar Sur you can even dance the tango as the performers invite their guests to participate in their sensual ritual. During my last visit to Baires I had the chance to visit Bar Sur. I had visited in 2008 El Barracas so I was looking forward to another tango experience. At Bar Sur, I checked of my bucket list items: hear a live version of “Por una cabeza” - a famous tango sang by Carlos Gardel that has been featured in many movies like “Mr. & Mrs. Smith”, “True Lies”, “Scent of a Woman”- and dance the tango in Buenos Aires! I hope you have that opportunity too! !